Urethane – MSO Seals & Gaskets, Inc.
We specialize in providing industry-leading solutions to meet your most challenging problems, and we back this capability with outstanding customer service and competitive pricing. MSO is capable of manufacturing many different styles of drive rollers and idler rollers, including: concave rollers, convex rollers, hubbed rollers, straight rollers, v-groove rollers, and more. 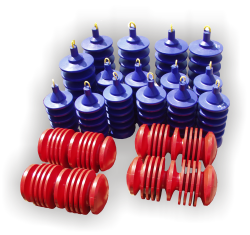 CUSTOM PARTS MSO specializes in producing custom polyurethane parts quickly and affordably. MSO’s custom parts are made from the highest quality polyurethanes and are precisely molded to your exact specifications. BEARINGS In addition to stock bearings, MSO can manufacture custom covered bearings based on your own design. Custom covered bearings can be produced with either flush or extended sidewalls and are able to be shipped quickly. Knapp’s patented single-piece, bi-directional scraping pipeline pig. The K-Disc is unmatched for paraffin scraping ability. Solid cast urethane combination cup and disc scraping pipeline pig. 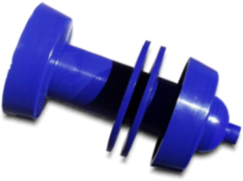 Knapp’s solid cast urethane pipeline pig with replaceable wear parts. Knapp’s patented one-piece, solid cast urethane pipeline pig designed for pipeline-specific applications. Solid cast urethane cup and disc fluid control pipeline pig. 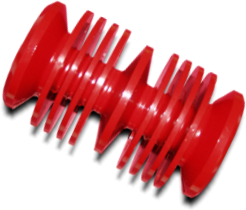 Knapp, the original manufacturer of the solid cast urethane disc pig, has been producing this dependable line of bi-directional solid cast pipeline pigs for more than 25 years. 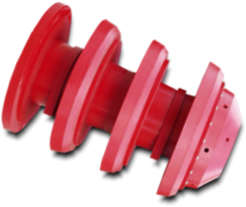 Knapp’s solid cast urethane three-cup batching, cleaning and fluid control pipeline pig.